If you are a military junkie and want to follow in elaborate detail events in Libya which include the hardware and military updates of Odyssey Dawn, now called Operation Unified Protector under NATO command, you must link to David Cenciotti‘s weblog – Aviation from a different perspective. The amount of information and links is impressive. 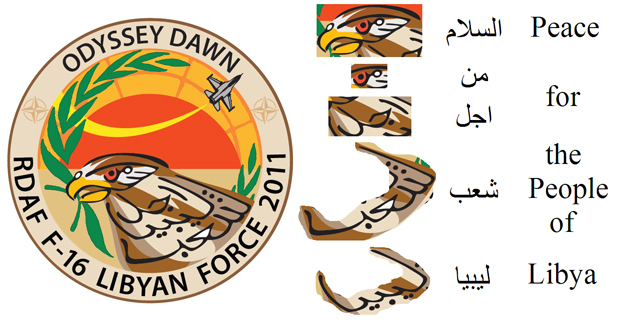 The RDAF Odyssey Dawn Patch eagle contains a hidden peace message in Arabic. Peace for the People of Libya.